Driven by a desire to grow and succeed not only in his business world but also in his chosen sport of World Series Sprintcars. In a relatively short Speedway career, the 33 year old recognizes that to grow and succeed in his 3rd year of World Series Sprintcar competition, consistent and strong qualifying is key to achieving his goals. In season 2017-2018 Pryde will employ determination, resilience and passion in his bid to improve and looks to his Crew Chief Jono Coyle for support. Pryde now looks for results, his goal is to finish the series within the top 10. He acknowledges the teams announced to date are strong and the success of the number of contracted teams will make it a tough assignment going into WSS31. 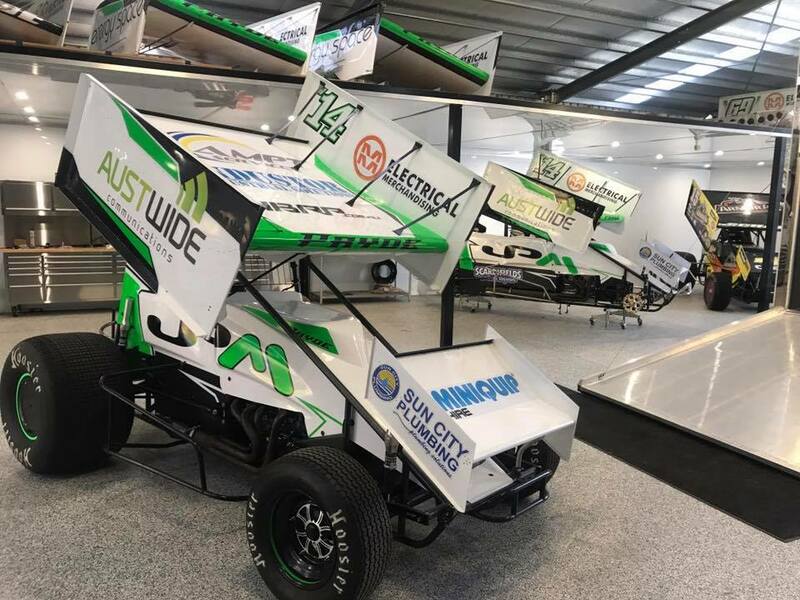 The now familiar green themed JPM will also carry the support of Greys Online, Industor, Miniquip, Ian Boettcher Race Parts, Sun City Plumbing, AMPT Services and MM Electrical.